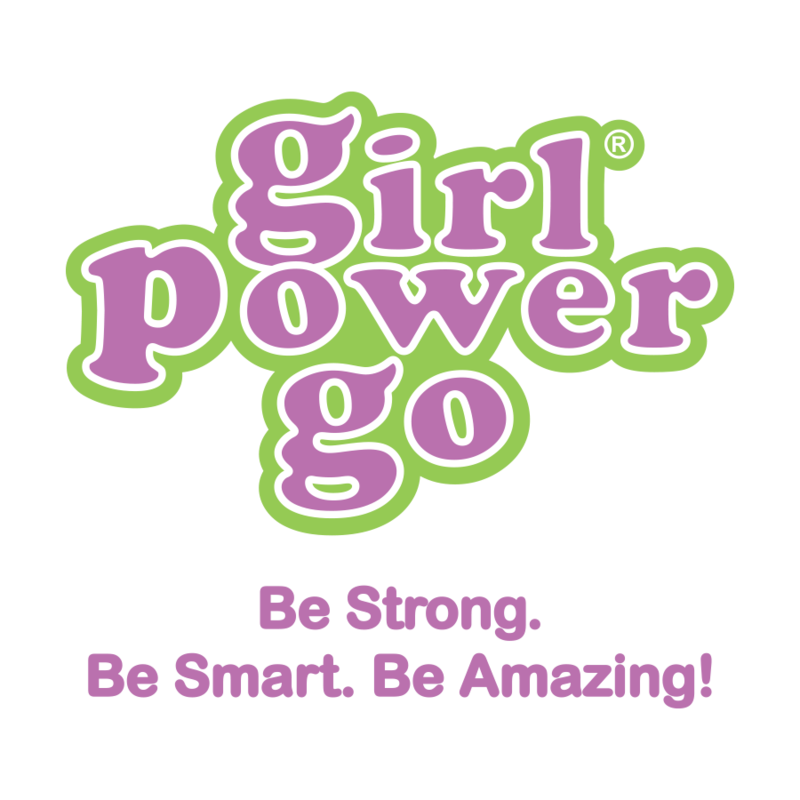 Girl Power is the brain child of Girl Power Go, LLC. owner Erin Mahoney. Erin's vision was to create a program that encouraged young girls to feel strong and empowered, self confident and independent, healthy and beautiful! 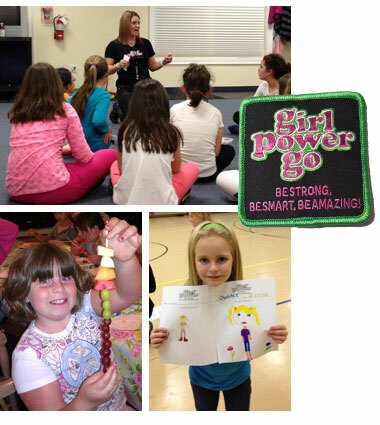 This class inspires girls to Be Smart, Be Strong, Be Amazing! 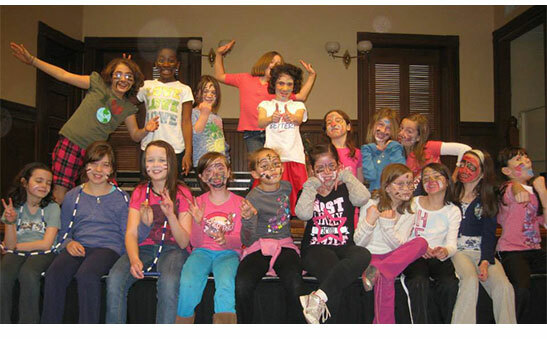 Girl Power is an 8-week program designed for grades 1-8. The program combines age-appropriate fitness and life skills with confidence building exercises that are fun and thought provoking. We cover everything from teaching young girls that they have very real power in spite of their young age to moving through middle school for tweens and beyond! Motivation tools & skills that will last long after the class ends! It's never too early to begin the work of strengthening young girls’ self-esteem and educating them on how to make good food choices. The girls we inspire and nurture today turn into AMAZING women in the future!! It's an investment worth making! 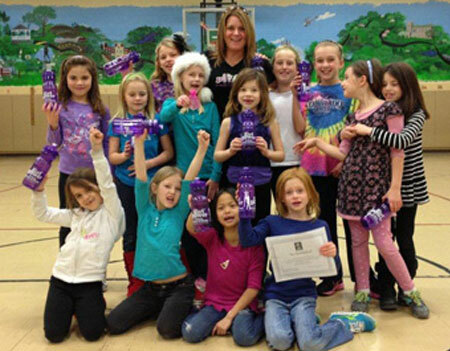 Girl Power classes can also be customized to meet the needs of your specific group. 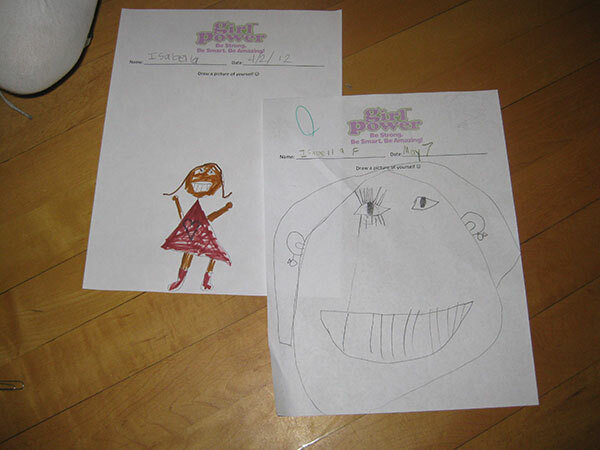 Here are some pictures of self portraits that girls do in our Girl Power classes. 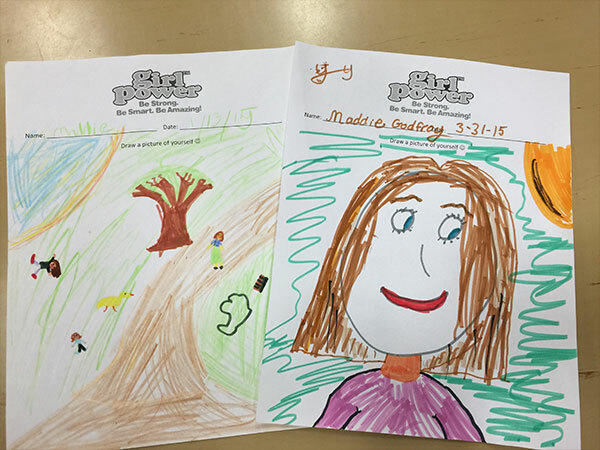 Self portraits speak novels about how a person views and/or feels about themselves. The girls draw a picture of themselves on the first day of class. 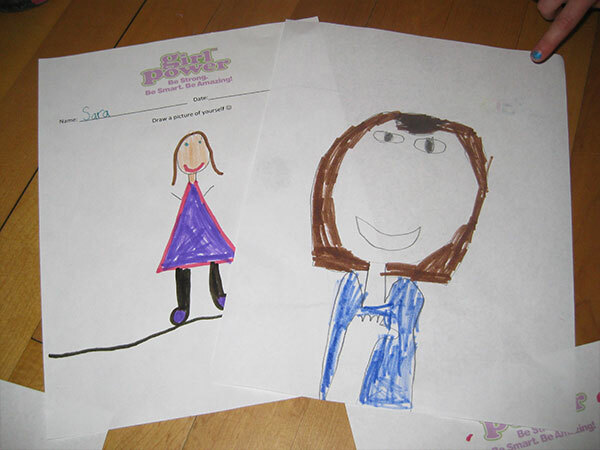 8 weeks later after participating in the Girl Power program each girl draws another self portrait. The second drawing is done during the last class. In both the first and last class the girls are given no instructions other then they are told to draw a picture of themselves. They sometimes ask questions like, "can I draw my house or my friends?" They are simply told to draw their picture any way that they would like. We might say to them "sure, you may add your house or your friends if you would like." Often times they draw themselves small (the size of a peanut or smaller) in the first class or with friends and other "support systems". 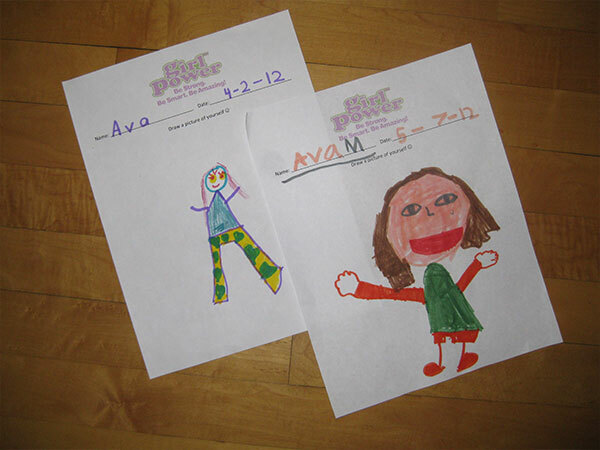 The second time they draw their self portraits there are many changes. Sometimes their head does not fit on the page!! Often times they no longer need their surrounding "support system" to feel safe and they decide not to draw their house or friends. 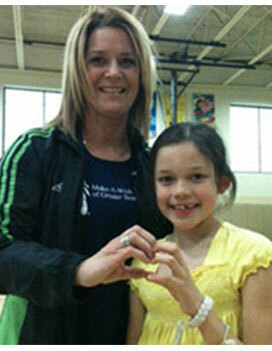 This exercise/activity proves the positive impact that the Girl Power program has on girls. It's an amazing transformation. It demonstrates that they feel "bigger" more empowered, stronger, more confident, beautiful and or more comfortable in their own skin. Girl's are more courageous after taking this program. Less concerned about who they "think" they should be and more focused on who they are and want to be. Please click on each image to see a larger photo of the self portrait. Girl Scout leaders love the message that the Girl Power program teaches. 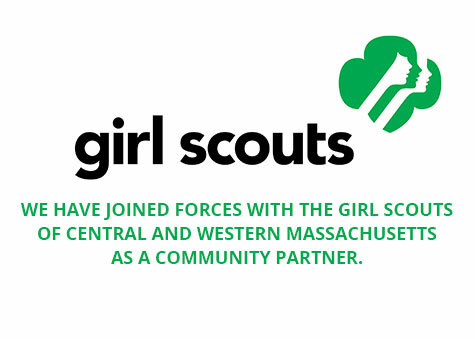 Erin has created customized programs that give Daisies, Brownies, Juniors and Cadettes the tools and experience they need to develop leadership qualities through the key skills integral to Girl Scouting. Erin Mahoney is a positivity powerhouse! She presented "Girl Power for Brownies: A Two-Part Program" to the Girl Scout Brownies that I co-lead with Kristine Austin. The girls not only learned a lot during this inspirational program, they also had a blast. Erin introduced the girls to kickboxing (which they loved) and disseminated information on healthy eating, the importance of exercise, and positive thinking. I couldn't help but think, "I wish somebody had imparted this information on me when I was younger." After Part 1, the girls were so enthusiastic about "Girl Power" that they couldn't wait for Part 2. They happily talked amongst themselves about the program and then shared their well thought out feedback with Kristine and I. It was impressive how well they internalized the ideas that Erin was trying to impress upon them. I think they grasped and retained the information because of the way it was presented to them. Erin made learning fun! The affirmations the girls exclaimed gave me goosebumps: "I am strong! I am smart! I am pretty! I am amazing!" 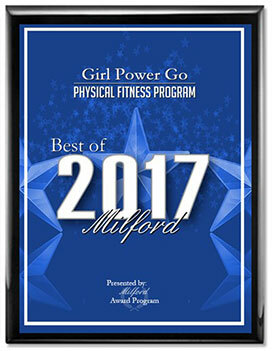 The girls earned a "My Best Self" badge and a "Girl Power" fun badge. They also gained a beneficial dose of self-esteem and empowerment. Bottom line - I loved this program and will be calling on Erin again in the future. I highly recommend Girl Power. I can't say enough about it.